Remember back to when I mentioned that I was thinking about doing something radical and crazy – lace knitting. Not just some random piece of lace, either – a shawl. My friend is getting married in February, so I thought a shawl would be appropriate. The winning pattern is the Frost Diamonds Shawl. 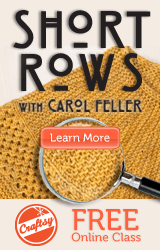 Mostly because it’s made with worsted weight yarn and will finish quickly. Well, that and it seems less complicated than most of the other lace patterns I was considering. The colors of this wedding are fuchsia, purple, orange, and red. (It’s part Hindu where colors are vibrant) I looked around online and found that Lorna’s Laces has the pretty much perfect colorway – Bittersweet. So, I checked online if the yarn store down the street from me carries it (yes!) and ran over there during lunch. No dice! They cleared out all their Lorna’s Laces stock because it wasn’t selling*. So, I found it and ordered it. It arrived (I was out of town) and I opened it with anticipation. Nope – that’s sock yarn! Though, I have to say that I was happy to see the colorway and see that it will work for what I want. Luckily, I ordered from Webs and they are sending out the right yarn today.